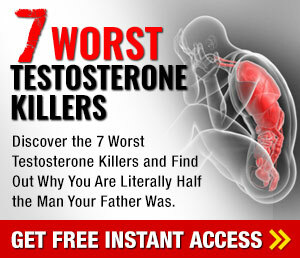 Unwanted Body Fat - Without Side Effects!" Landmark scientific trial in the "American Journal of Clinical Nutrition" proves the ingredients in Shred 360 can rapidly and dramatically burn off unwanted body fat - without the over-stimulation and side effects of Ephedra. You've spent hours in the gym handling heavier and heavier weights. You've gotten stronger and packed on a lot of muscle. But you still don't have the look of a bodybuilder! 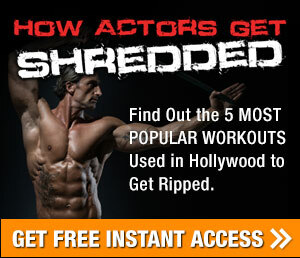 To get that "head-turning" look, you not only have to have some muscle mass... but you also have to be "cut". For 99% of bodybuilders that means you need to get your body fat levels lower. And there's no way around it... if you want to get cut, you gotta make some changes in your diet. In addition to a proven nutrition plan to help you maintain muscle mass while losing body fat, there are a few secrets to help you speed up your fat loss. "Thermogenesis" is the term to describe when your body temperature rises slightly and uses more body fat for energy. Ephedra has been a popular compound for fat loss because it increases thermogenesis. But Ephedra is not without risks. Some people feel jittery and "over stimulated" while taking Ephedra. Plus, people with heart conditions can actually suffer heart palpitations if they take too much Ephedra. And most importantly, the FDA has made sales of Ephedra illegal. 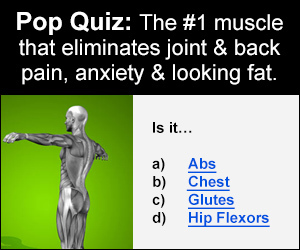 So where do you turn for a safe and effective alternative to Ephedra... without side effects? Introducing Shred 360 - A Safe Fat-Burning Supplement That Dramatically Increases Daytime Thermogenesis Without The Side Effects Of Ephedra. The formula in Shred 360 has been proven in a landmark scientific study to increase fat oxidation and stimulate thermogenesis up to 43% faster! In fact, Shred 360 allows your body to selectively burn fat while sparing your hard-earned lean muscle mass. But what makes Shred 360 truly revolutionary is its ability to increase fat oxidation and thermogenesis without the associated increase in heart rate. No other thermogenic agent in the world has this unique ability! So if you're sensitive to the over stimulation of Ephedra but want a product that burns off body fat, Shred 360 is your answer. 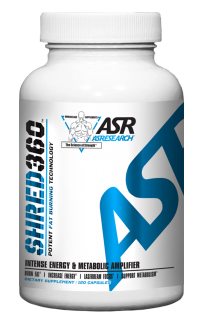 Shred 360 uses what doctors and scientists call a "synergistic combination of ingredients." This means all the ingredients work together much more quickly and effectively than they could on their own. In fact, those synergistic compounds can triple or quadruple the stimulation of thermogenesis. How Can Shred 360 Help Me Lose Body Fat? Speeds metabolism up to 43% faster to assist your body in burning off body fat hour-by-hour. Users report an almost immediate increase in energy. Helps carbohydrates to be burned as energy rather than stored as body fat. Increased mental clarity and focus, without feeling over stimulated or jittery. Significantly increases thermogenesis so you burn stored body fat calories for energy. Suppresses appetite. You won't suffer those frequent hunger pangs while dieting! Preserves muscle tissue so you can be sure the weight you are losing is unwanted body fat. Green Tea Extract – Contains the highly thermogenic and antioxidant compounds epigallocatechin and polyphenols. These substances activate the central nervous system, which increases the body's ability to burn calories and unwanted fat cells through the thermogenic process. A study in the American Journal of Clinical Nutrition demonstrated that green tea extract resulted in a significant increase in energy expenditure (a measure of metabolism), plus also had a significant effect on fat oxidation. The researchers found that green tea extract actually translated to a 35-43% increase in daytime thermogenesis! None of the research subjects reported any side effects, and no significant differences in heart rates or blood pressure were noticed. Green Coffee Extract – a recent study suggested that the chlorogenic acid found in green coffee, which is what all coffee looks like before it's roasted, helped pre-obese test subjects to lose an average of 16lbs and 4% body fat while supplementing with green coffee extract compared to a placebo. Raspberry Ketones– A study done at the University of Japan suggested that raspberry ketones suppressed fat absorption through an increased burning of calories even when the body was at rest. The Japanese study also demonstrated that RK increased norepinephine-induced lipolysis. This means it increased the rate at which fat is broken down when norepinephine compound is present. This compound is produced when our body is in an active kinetic state, meaning it helps accelerate fat loss when we're active (working out). A separate South Korean study suggested that raspberry ketones boosted both the expression and secretion of adiponectin. Adiponectin is a protein hormone that helps with multiple metabolic processes. Two of these processes are the regulation of glucose and fatty acid catabolism, two things we want to enhance for our fat-burning purposes. Cayenne Extract – Cayenne peppers naturally contain a chemical substance called capsaicin that raises your levels of the neurotransmitter hormone norepinephrine. This messenger chemical prompts fat cells to release more of their fatty acids to be burned as energy. Evodia Extract – Evodia is a tree that is native to China and Korea. Evodia fruit is commonly used in Traditional Chinese Medicine and recent studies have shown that it has a similar effect as capsaicin, slightly increasing the body's core temperature to help metabolize free fatty acids in the blood stream, thus preventing them from being stored as fat. Naringin – an extract from grapefruit, naringin helps extend the half-life of many of the ingredients in the formula (makes them last longer) while also increasing your body's sensitivity to insulin and helping regulate blood sugar levels. Chromium – Results of a double-blind, placebo controlled clinical study published in Current Therapeutic Research show that chromium aids in the loss of body fat, without causing a loss in lean body mass. Chromium assists with the metabolism of glucose, increases the effect of insulin, stimulates synthesis of fatty acids and helps amino acid metabolism. Synephrine – increases metabolic rate, increases caloric expenditure, promotes fat loss and increases energy levels. Synepherine causes the release of noradrenaline (a hormone) at beta-3 receptor sites and creates a chemical reaction that increases the breakdown of fat. Through its stimulation of specific receptors synepherine stimulates fat metabolism without the negative cardiovascular side effects experienced with many fat burning stimulants. Black Pepper Extract - this is used as an absorption agent (helps your body uptake more of the nutrients) as well as a thermogenic to increase resting metabolic rate. Caffeine Anhydrous – Caffeine Anhydrous is a xanthine alkaloid that is well known in the scientific literature to mobilize fat from fatty tissue and to increase physical performance and mental focus. It does through stimulation of the central nervous system, which increases the production of epinephrine, which stimulates the process of lipolysis. This happens when it binds to receptor cells called β-adrenergic cells. Caffeine can also help increase energy expenditure, therefore burning fat and carbohydrates. Yerba Mate Extract – Mate, (pronounced mah-tay) the tea made from the Yerba Mate plant, is the South American equivalent to coffee in the United States. Charles Darwin called it "the ideal stimulant". Upon drinking it, especially for the first time, you feel a significant inflow of strength, energy, and cheerfulness, almost immediately. The herb is a stimulant to the central nervous system, diuretic, anti-rheumatic, mild analgesic and tonic. It stimulates mental and physical energy. N-Acetyl-L-Tyrosine – Tyrosine is a non-essential amino acid, meaning that it can either be obtained through your diet, or it can be naturally synthesized in your body as it is needed. N-acetyl L-tyrosine is a synthetically altered form of tyrosine that contains acetic acid, which increases tyrosine's bioavailability and absorption into your bloodstream…it's more expensive, but it works better, which is why we use it. NALT is a precursor of the neurotransmitters norepinephrine and dopamine, which regulate mood. Tyrosine acts as a mood elevator, suppresses appetite and reduces body fat. It is also helpful for stress reduction, fatigue, and anxiety. DMAE – or dimethylaminoethanol, is a compound found in high levels in anchovies and sardines. DMAE increases levels of the neurotransmitter acetylcholine, one of the chemicals in the brain that enhances memory, mental focus, and also stimulates muscle tissue. Huperzine A – Huperzine A has been found to help prevent the breakdown of acetylcholine, which we just talked about with DMAE. I included HA for its acetylcholine-sparing function which has a positive impact on mental clarity and focus, but it also has the added benefit of curbing cravings for fried and fatty foods that your body wants when you have an acetylcholine deficiency. If you're finally ready to shed that unwanted body fat, Shred 360 (combined with a proper fat loss diet and training program) can help you get that ripped "head-turning" look much faster. All orders are processed on our secure online shopping cart. Your personal information and credit card information are safe and 100% secure. As soon as you do that, we'll ship you the most cutting-edge fat-burning supplement and bodybuilding program available to get ripped... as quickly as possible.